Thrasher Magazine summed it up best here, "Shop videos represent everything we love about skateboarding and this one from Orchard in Boston has it all. It's a true glimpse into the scene, complete with sick local street spots, young upstarts, surprise guests, legends like Jahmal Williams, and even some shredding from the owners. Enjoy!" Congratulations to Orchard Skateshop for putting out an epic skate video and representing and supporting skateboarding to the fullest. In celebration of the life changing collaboration between Toy Machine and Volcom, Collin Provost and his Toy Machine teammates came to Volcom's private skatepark and proceeded to have a mind-blowing sesh! Watch the shreddage commence in the latest edition of CAMP MOFOKA's with Collin Provost, Johnny Layton, Billy Marks, Alex Midler, Matt Bennett, Jordan Taylor, Josh Harmony, Ed Templeton, CJ Collins, Tre Williams and Daniel Lutheran. Clint Walker smashes a wallride and clears over the gap. Duffman says a lot of things. Ollie photo shot by Dan Z.
Billy Marks rides the swine. Chris Nieratko travels to the desert of Phoenix, Arizona to meet up Aaron "Jaws" Homoki for episode 3 of 'Skaters in Cars Looking at Spots'. Zack Wallin charged a downhill bomb to kickflip over a massive street gap, to nail the cover of Transworld Magazine. Check out this video TWS put together to tell the story behind the Zack's cover. 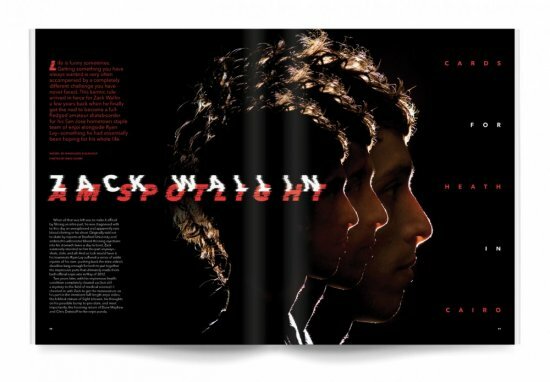 Zack Wallin Am Spotlight in Transworld Skateboarding Magazine. Portrait by Dave Chami. Tum Yeto Pocket Cam #20: Keep on Jookin! Photographer Jonathan Mehring and Jenkem Magazine posted a whole bevy of amazing photos from the Toy Machine "Noisy in Boise" Tour. Below are some of the gems from Dekline team riders that jumped in the van with the bloodsucking skateboard co. Too see the rest of the epic shots, click here. Jaws & Dakota double up in a backyard beauty. For more epic photographs shot by John, check out his site here. Congratulations to Zack Wallin for nailing his first magazine cover. Cheers to Zack, Transworld Magazine and Dave Chami for shooting an epic photo. Downhill bomb to massive street gap kickflip. Wow! For more about this issue of TWS, click here. Preeminent collaborations have consummated between the bloodsucking skateboard company and the Volcom stone. The brilliant minds of Collin Provost, your benevolent overlord, Ed Templeton and Volcom have brought you a skateboarding collab for the ages. Worship. Consume. Repeat. For all necessary injections....click here! May 31st at TFR Gallery was the Zine Thing show put on by Thrasher Magazine & Foundation Skateboards. The show was inspired by our the Swank Zine Tea Pot deck that we recently re-issued. Here's a cellular photo recap of the night. Michael Burnett, Sam Hitz, The Deadbeat Club, Wez Lundry and the Shep Dawgs. Sam Hitz prepping for the show with his theLarbzine section. The Larb and Michael Burnett's section "Nothing is Fucked". Ed and Deanna setting up their Ninas Patineta section. Clint Woodside prepping the Deadbeat Club offering. Rich Jacobs made the trip down from Oakland,CA to participate in the show. Clint and Rich discussing all things Xerox and photography. Pro skater and publisher of the 1st skate zine ever, GSD, taking Rich's photo. Look up Skate Fate. BB Baptista hit up the wall with some water colors to represent for the Shep Dawgs. Bendpress publisher and art director for Girl Skateboards, Andy Jenkins released Bend #23 for the show. Jenkins has been in the FoSkCo fold for 25 years. He's got clips in the first F vid, Glam Boys on Wheels. Andy's son Emmett contemplating lines to be skated at the Prince Park in Oside. Rich digs the Swank offering. Around 6pm the zinesters started rolling in to trade and purchase. Lee Dog picked up a copy of the Larb. Jenkins, Swank and his daughter Zoe, and Sam Hitz with his son Bronson. Tum Yeto fam, Barker, Tyler, Tod and Zoe. Editor at Large for Thrasher Mag, Michael Burnett presented his zine, Nothing is Fucked, along with Shep Dawg photographer introducing his 1st zine, MASH. Indy TM and Thrasher photographer Rhino was in attendance. Larry Ransom discussing his zine "Purefun" with Vern Laird. The legend himself, O made an apperance. B-Mack and the Nook picked up a copy of Skate Jawn. Deanna and Clint managing the Deadbeat Club table. Brad Walters and Morgnar from Active came to support. Rich Jacobs drawing for a fan. Tanner Cribs and Rowan Zorilla celebrating their first print zine, Shred! Brian Howard and his family made the trip out. Swank created some binders with original Swank Zines for fans to peruse. Tempster and writer of Thrasher's Zine Thing, Wez Lundry. Elijah getting stoked out on the Shep Dawgs crew. CJ and his homey Paco made the trip down south to trade their zine, Phatpile. Publishers of Roll Dawgs Zine, Andrew Durso and Claire. Jeff Halleran submitted his zine 7PlyMinds for the Open Table section. AJ Zavala being greated with open arms from his fellow SD, Tanner Cribbs. 2 Mikes. Gilbert and Blabac. Slave overlord, Ben Horton and Lee Dupont enjoying the festivities. "But do you remember #4 issue of Swank Zine, that one folded out into a poster." Man of the hour, Justin Lovely himself, Mr. Tod Swank. Huge thanks to TFR Gallery for hosting the show! Volcom skate TM, Jake Smith and Thrasher marketing goon and TFR parnter, Dave Sypniewski. Zines featured on the Open Table. Thank you to all the zine publishers who mailed in their zines for the show!